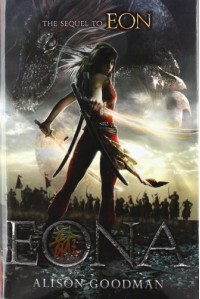 Review can also be found on:http://twinjabookreviews.blogspot.com/p/our-reviews.htmlWarning: Spoiler AlertEona follows where Eona left off. Like the first book, I have to take off a quarter point for unclear descriptions of the characters. I cant stress it enough, as despite the world building being EPIC, the people were borderline impossible to assume what race they were, leaving the door open to picture them Caucasian. Mind you, in a fantasy world, having a Caucasian female wielding a sword wouldn't be unrealistic in an Asian setting. But there are so few women of color in books as the main characters, it would've been nice to know that the author had a female of color in mind as her Eona. Because too much are people fascinated with different cultures, but only if white faces lead their stories, which is alright, but it is something that needs to start changing.That being said, the pacing left off where Eon did. Lord Eon is now Lord Eona and she is forced to be the face of hope for the "The Empire of Celestial Dragons" universe. Despite being one of two remaining Dragoneyes, she has had little training, and being a woman, she's still not able to gain the trust of those in power. Even on her side of the revolution.The story had a consistent back story to why the Dragons are weaker, and what needed to happen. It was at a great cost,and the decisions Eona were forced to make, in my opinion made her stronger. Some may disagree. But I will say this. Men in her world were so afraid to let go of power. At times, even she feared what life would be like if she weren't Lady Eona. But choosing to be powerful, and choosing to do the right thing despite the consequences, to me, made her a better heroine. We all struggle to do what's right as opposed to what is fun or we will enjoy more. As human beings we fail miserably at this. Eona had to decide for herself that she would rather do what was right, as opposed to be powerful, and dont we all wish we were better people enough to do that?I could never figure out the Dragoneye history, and why the Dragons were suffering until it was actually told to me. That was one of the things I figured would be predictable, but I was pleasantly surprised. And Ido. Ido. Ido. Ido. Let me just say I wanted to like him. I wanted him to change. He showed such great promise, and while his actions in the end didn't surprise me, I was hoping he would. So in a way, I assumed he would change, but didn't expect it, so I really couldn't say this book was too predictable.The conflict was plenty, but what I will say is, I never really say a true love triangle. I didn't expect Eona to choose Ido, or want him deep down. He was nice to look at, and while I liked him better than Kygo, I always knew Kygo was better for her. Kygo was the one I really pictured being Asian, so Im glad it turned out that Ido was no good for Eona. Asian men almost never get the girl in books, so while I did like Ido's personality better, he was not the kind of man you bring home to mother.The story is definitely unique. I think I love stories told in different worlds, because when it's in a world I know, it limits what I see. With "The Empire of Celestial Dragons", I could imagine this extraordinary world full of Sakura's, Swords, and Swordswomen, without limitations.The grammar was a high point too. I did notice a few mistakes, but the more you read, the more you see it happens in every book, not just Indie books. 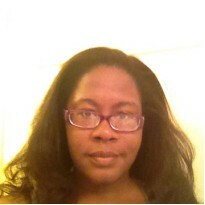 The author's writing style was consistent, and she had a clear POV for Eona. She blended beats and dialogue well, as well. It obviously had a good editor.Like the first book, a lot of research had to have been constructed to get this right. Having a female main character and a transgender woman wasn't forced, but I would've like better descriptions. If it was a diverse book as far as race, color or ethnic origin(which technically in their world people were from different regions) I couldn't tell. Being a woman or transgender still wasn't something that was uplifter, which I have to take a quarter point off for.The American cover was nice, but I liked the UK better. I love her positioning, but it leaves it open to assume she's not of color. The title matched the first book's cover, so i enjoyed that. The character names were.....confusing. Im going to give it the point, because they were unique. I will give them that. But some names were so similar, or these characters with similar names weren't consistent in the story to remember them, so at times, I felt like a new character was being introduced, when that wasn't the case.